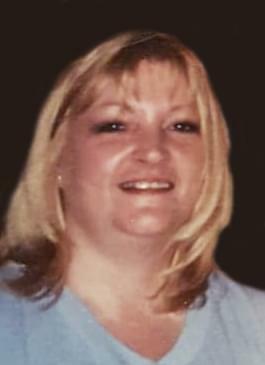 Christina ‘Chris’ Runyon, age 56, of Salem, died February 13th, at home. She was a housewife and mother. Chris was a member of the Salem Assembly of God Church. Graveside services for Chris Runyon will be held at 11 am on Saturday, February 16th, at East Lawn Cemetery in Salem, with Rick Smtih officiating. There will be no visitation. In lieu of flowers, memorials may be made to St. Jude’s Children’s Hospital. Chris Runyon was born on March 28th, 1962 in Salem to Arthur Bryan and Ruth (Peters) Bryan. She married Jimmie Runyon of Salem on September 28th, 1982. Survivors include her husband; daughter: Nikki VanHoutin and husband Tony of Iuka; son: Josh Runyon and wife Kandace of Salem; siblings: Carolyn Ward and husband Larry of Tennessee; Larry Bryan of Salem; Julie Kuhl and husband Don of Salem; grandchildren: Preston Wright and Emily Runyon and great-granddaughter: Bryleigh Woodward Wright. She was preceded n death by her parents and sister Ruth Ann Snow.